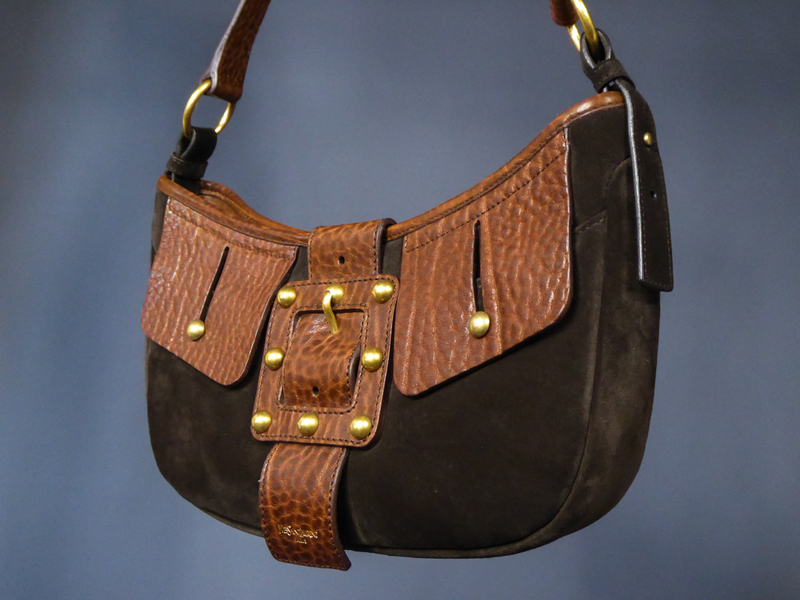 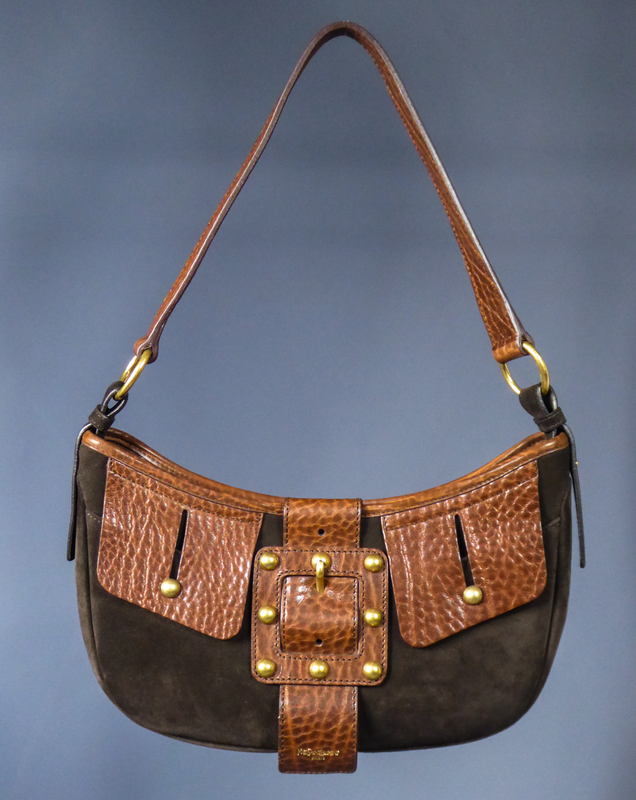 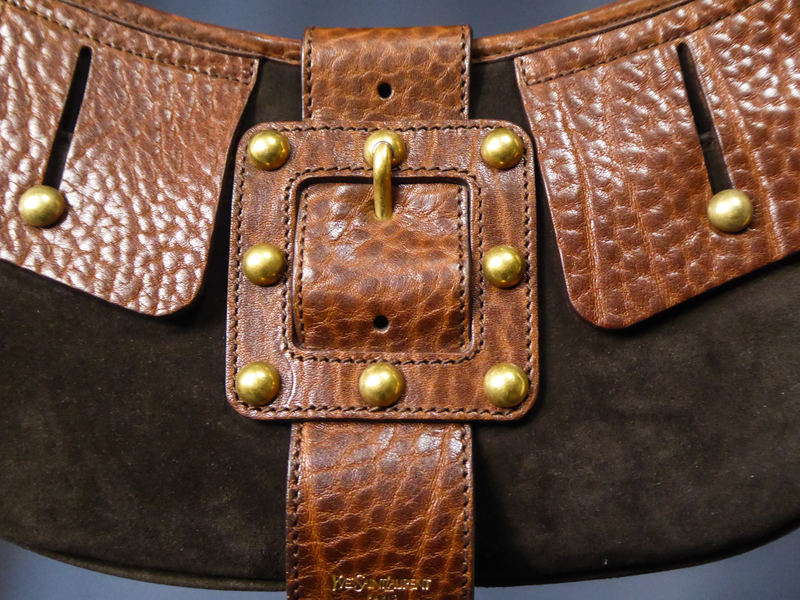 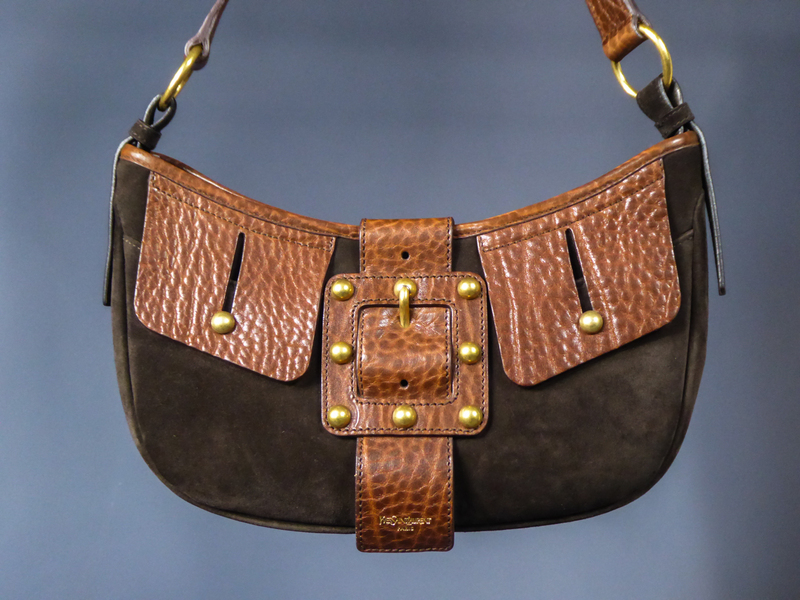 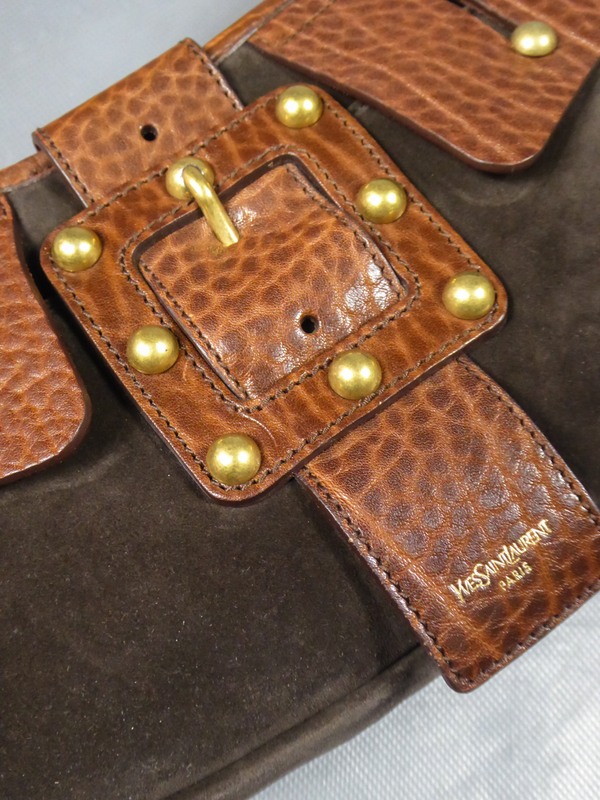 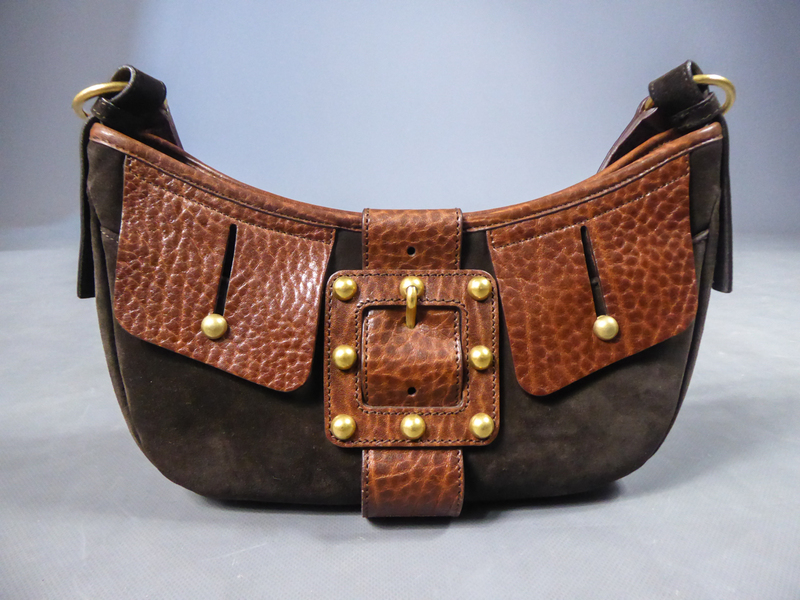 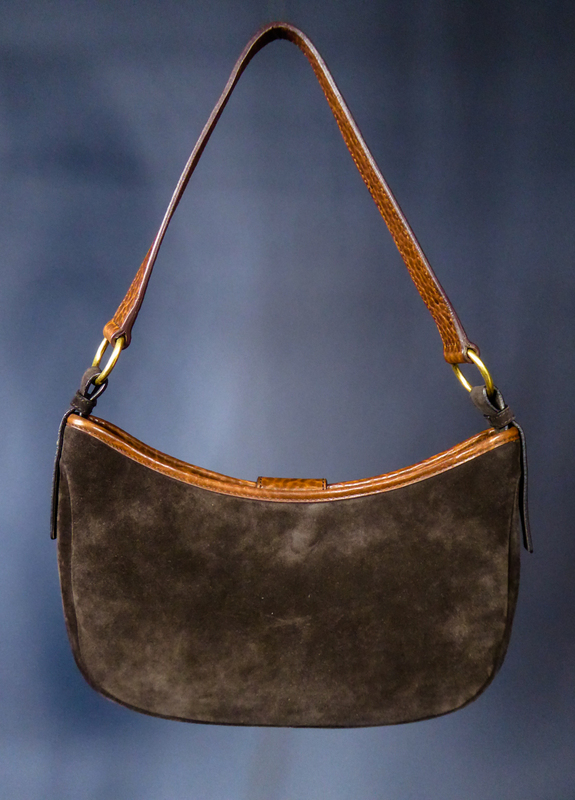 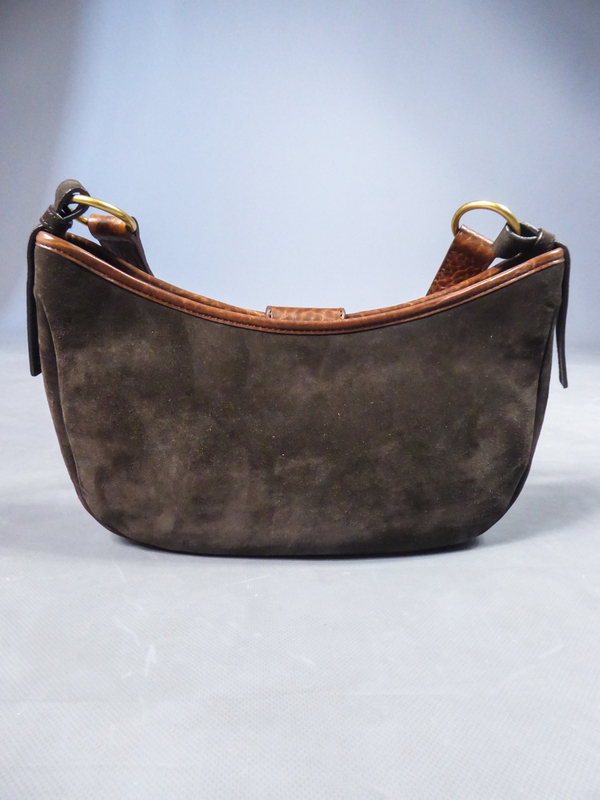 Beautiful Saharienne bag in tawny leather and brown suede by Yves Saint Laurent Rive gauche dating from 1995. 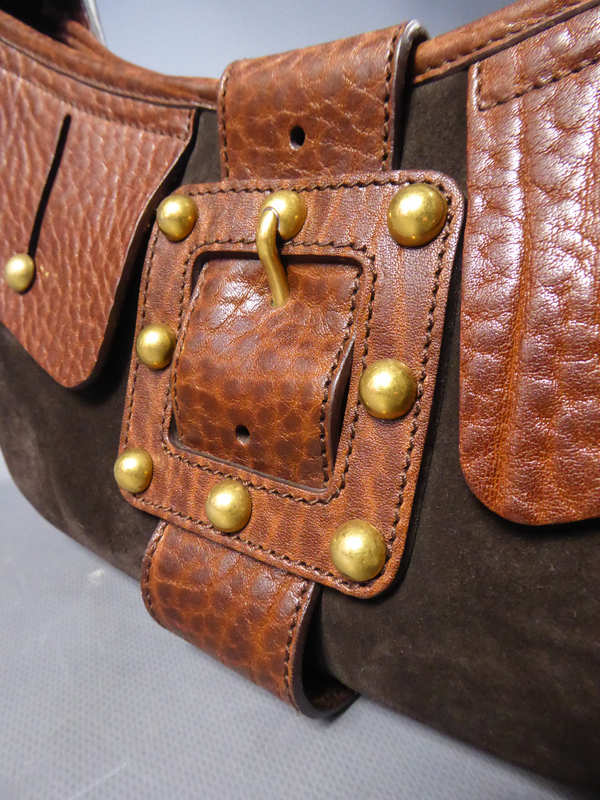 Flap tabs and fake buckle studded with brass balls. 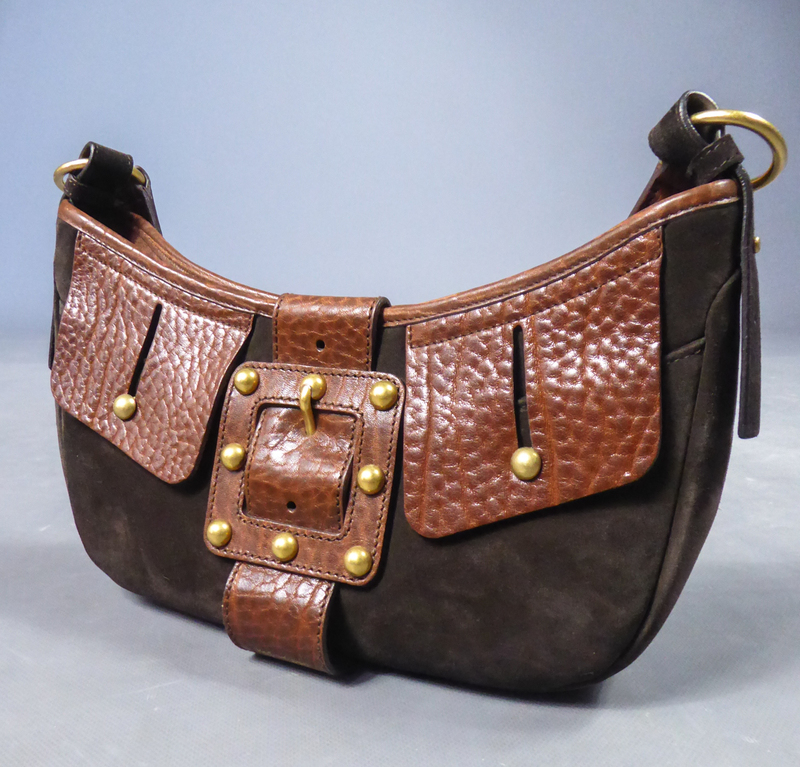 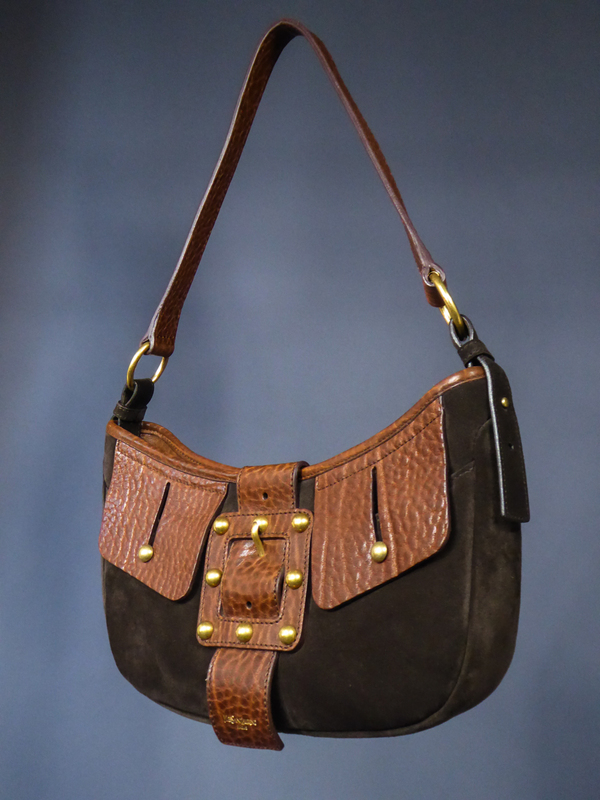 Small strap with brass rings and interior in brown satin with zipped pocket. 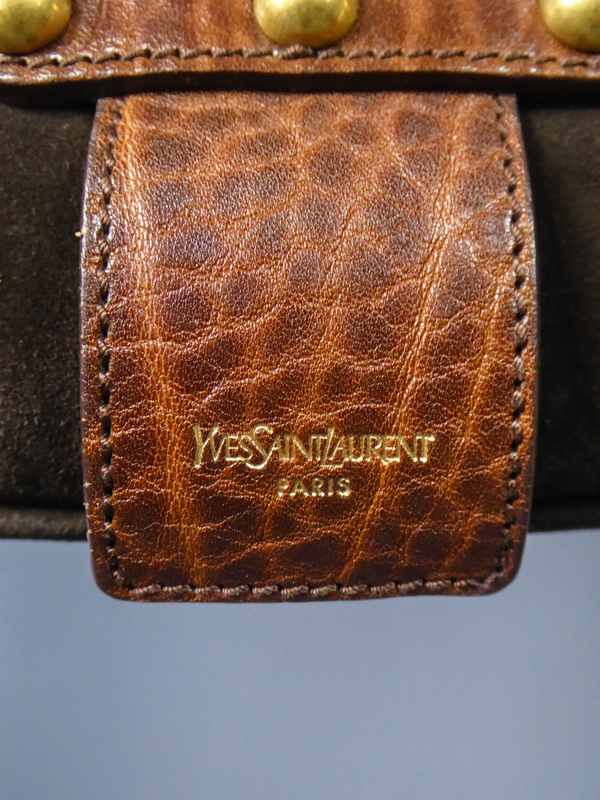 Label engraved gold on the leather Yves Saint Laurent that we find inside with the mention Rive gauche. 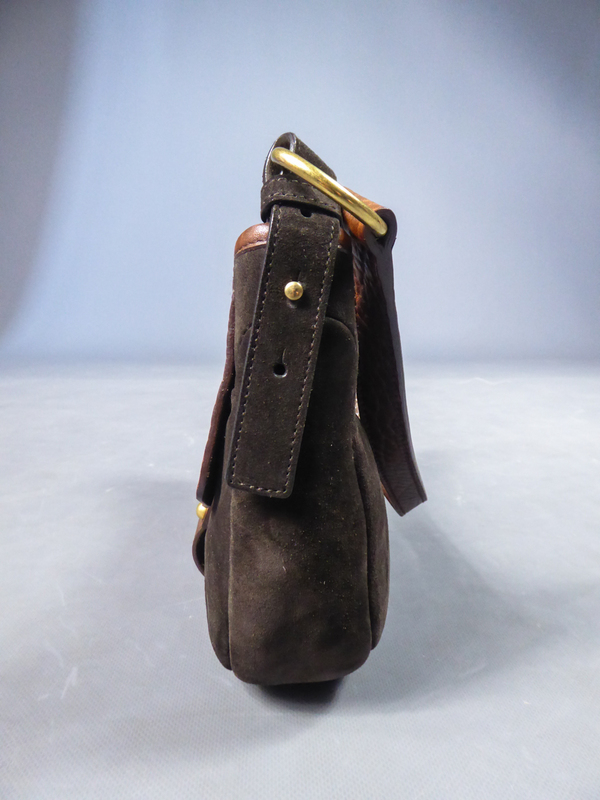 No trace of use. 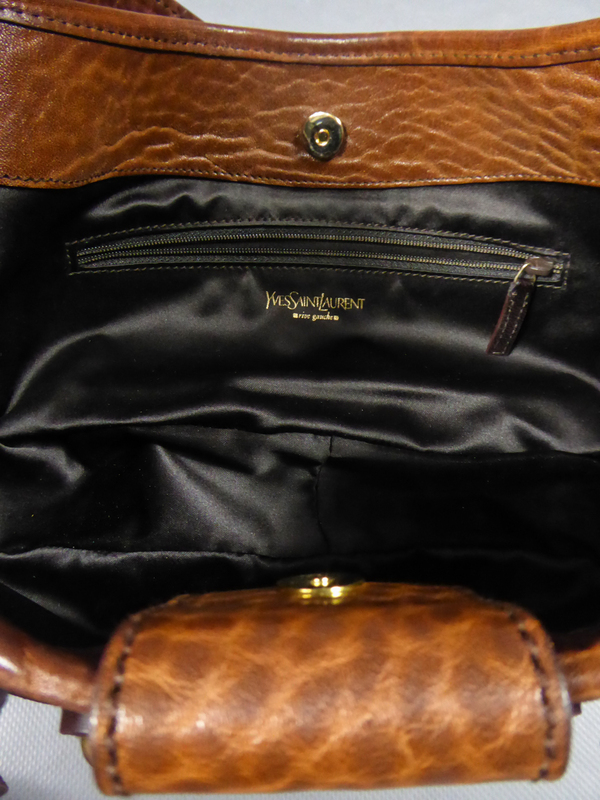 Presented with its protection clutch bag in black cotton from the house designer Yves Saint Laurent. 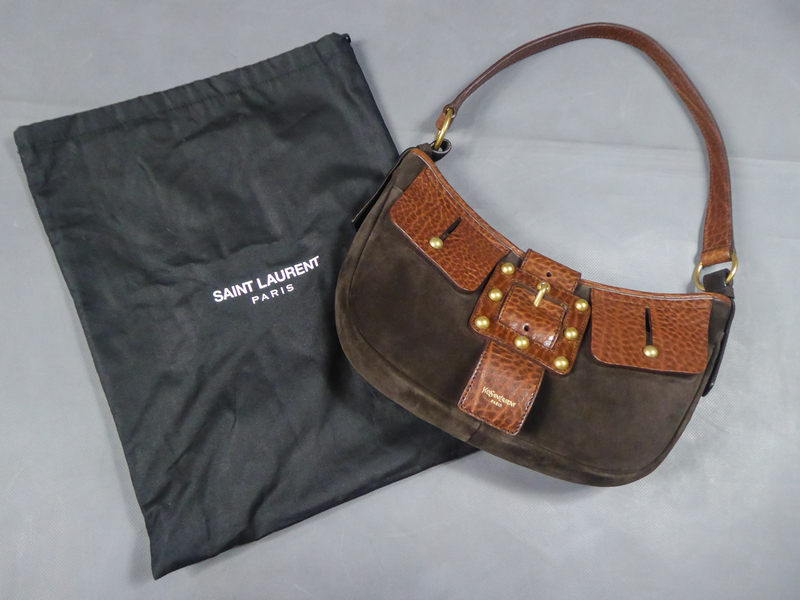 Excellent condition of color and conservation.